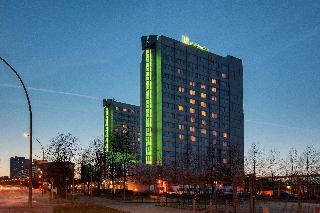 Find huge deals in Berlin, Germany that you may book now & pay later! 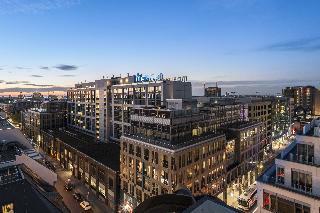 Best prices for in Berlin, Germany. A dream vacation for you and your family, guaranteed by our travel consultants. For members-only deals, we recommend using the new filter for deals in Berlin, Germany. 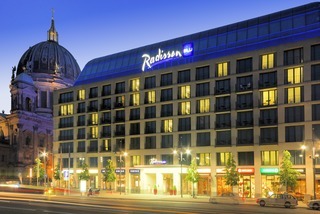 This elegant luxurious hotel is conveniently situated in the heart of Berlin, just a stone's throw from the famous Kaufhaus des Westens shopping centre and only a few minutes' walk from Kaiser Wilhelm Memorial Church and the Kurfürstendamm with its elegant shops. 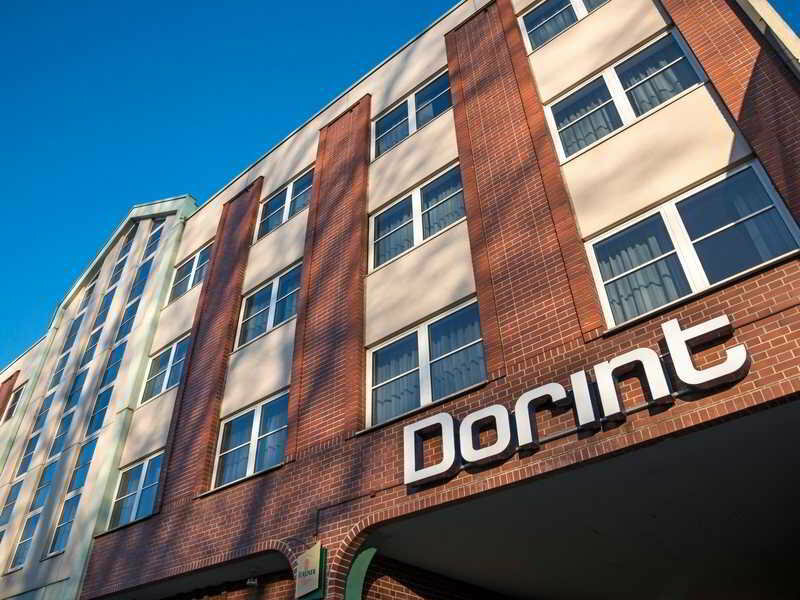 The hotel is ideal both for business and leisure travellers and offers a restaurant with Berlin specialities and international cuisine as well as a fitness area with sauna and steam room. 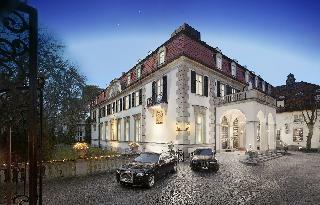 A first class hotel with an extraordinary and unusual character! 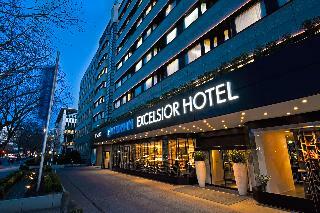 Enjoy that special extra in the middle of Berlin, close to the famous boulevard Unter den Linden. 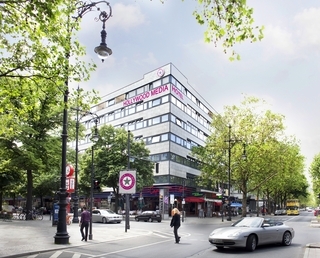 This inviting hotel enjoys a central location on Kurfürstendamm, the famous shopping area at the heart of West Berlin, a minute's walk to the capital's exciting and popular tourist attractions. 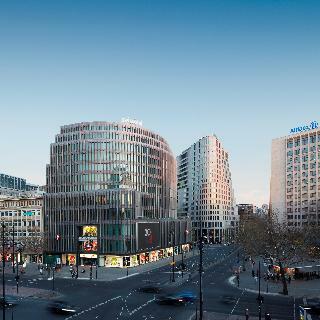 Gendarmenmarkt square, the Brandenburg Gate, and the Potsdamer Platz with its abundance of exceptional restaurants and bars are all within easy reach. The hotel's contemporary décor and stylish design provide a comfortable retreat after a day of sightseeing in one of Europe's most vibrant cities. 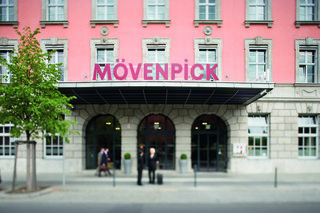 This wonderful hotel in Berlin's Neukölln district is part of a large convention and entertainment centre. The spacious rooms are decorated in soft, natural colours. There are several public transportation links in the surrounding area, bringing guests closer to Berlin's numerous sightseeing attractions. A glass-covered atrium with trees, a terrace and a bridge are all included throughout the four buildings of the hotel. Situated in the very centre of Berlin, this modern city hotel located on the legendary Friedrichstraße in the Mitte district. 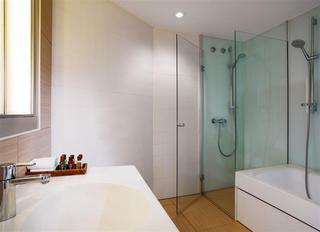 It is the ideal base to explore the city, both for business and leisure travellers. The hotel offers a breakfast restaurant, a restaurant, gym and wellness. 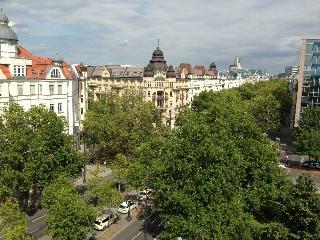 Famous sights such as Brandenburg Gate, Reichstag building, the boulevard Unter den Linden, Museum Island or Checkpoint Charlie are just a short stroll away. This elegant hotel is ideal for tourists wishing to explore the city, being only metres from the famous sightseeing attractions of the city such as Unter den Linden, the Brandenburg Gate, Friedrichstrasse or Galleries Lafayette with its shops and boutiques. 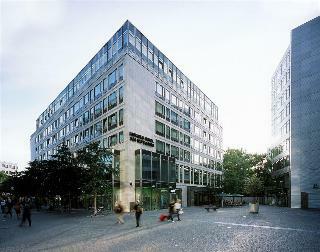 Stadtmitte metro station is directly in front of the hotel. 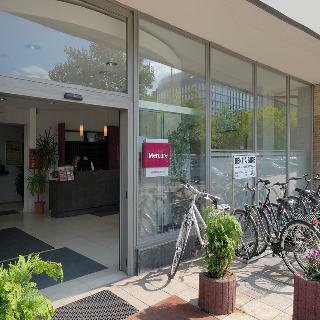 This Berlin hotel enjoys excellent transportation links to all parts of this dynamic and exciting city. 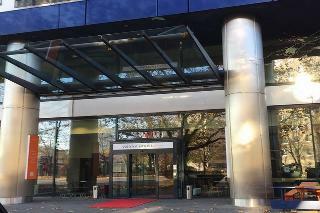 This 3 star hotel is located in the city centre of Berlin and was established in 1989. 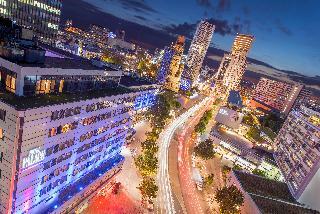 It is a short drive away from the Alexanderplatz and the nearest station is Landsberger Allee. 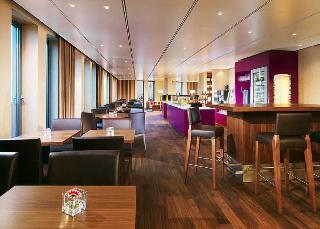 The Hotel has a bar, a conference room and a coffee shop. 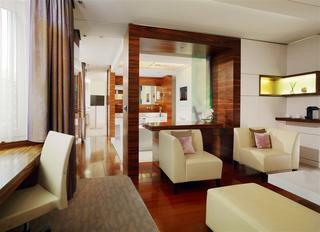 All 304 rooms are equipped with hairdryer, ironing set and air conditioning. 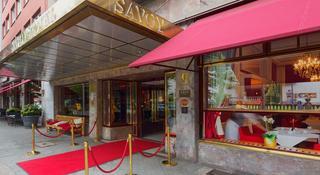 This 4 star hotel is located within the city of Berlin and was established in 1980. 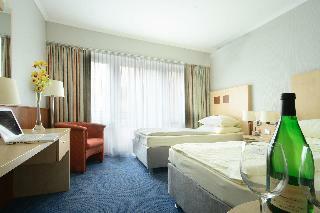 It is a short drive away from the Alexanderplatz and the nearest station is Frankfurter Allee. The Hotel has 2 restaurants, a bar, a conference room and a fitness centre/gym. All 156 rooms are equipped with hairdryer, safe and air conditioning. 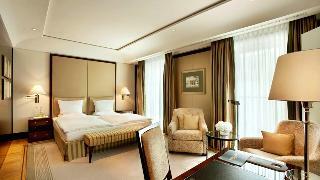 Fusing contemporary chic with classic elegance, this hotel is ideally located at Potsdamer Platz, Berlin's business district. It is also within walking distance from the Brandenburg Gate. 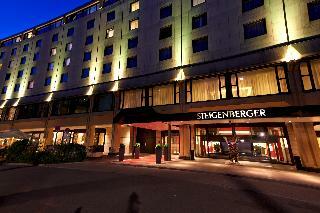 This hotel is adjacent to the Sony Center and Berlin's largest park, the Tiergarten, next to Brandenburger Tor. After a busy day of shopping and sightseeing in one of Europe's most exciting cities, guests can relax in the fitness centre, or enjoy a cocktail in the hotel bar. 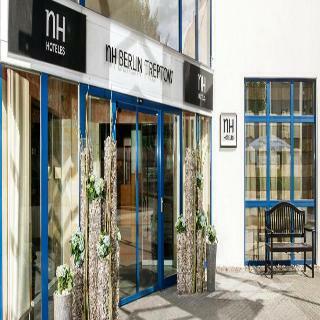 This modern hotel in the heart of West Berlin's Charlottenburg district lies in a quiet side street, 300 metres from the famous Kurfürstendamm shopping boulevard. A plethora of shops, bars and public transportation links are just a stone's throw from the hotel. The Kaiser Wilhelm Memorial Church and Berlin Zoo are a 7-minute drive away. 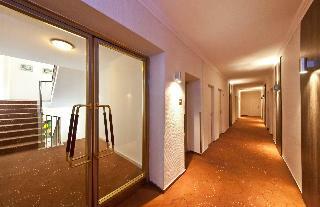 Adenauerplatz metro station is only a 4-minute walk from the hotel, providing guests with easy access across Berlin.